Comfort at your fingertips. Wherever, whenever. Tempstar Observer and A/C Repairs Inc. have you covered. No need to rush home because you forgot to set the thermostat. 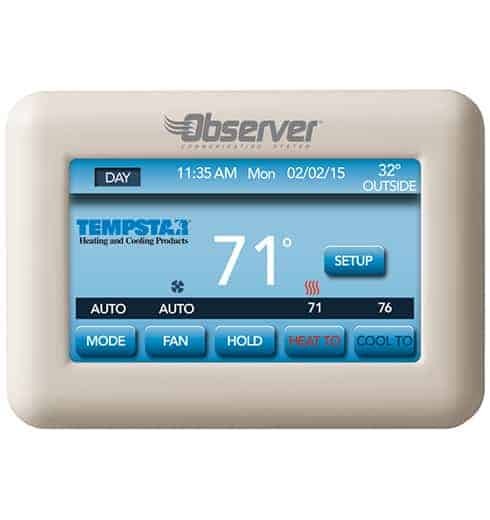 With the Tempstar Observer Wall Control and remote access, you can make any temperature adjustments on the go, knowing the environment will be just right when you arrive. So relax and take the long way home.